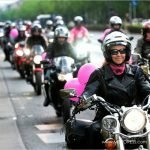 International Female Ride Day© eighth edition will become the women and motorcycling weekend-to-remember. In 2014 International Female Ride Day switches to Saturday and will make its first historic weekend occurrence on 3 May, 2014.
International Female Ride Day© the world’s only synchronized women’s motorcycle “Just Ride” day, moves its eighth global edition in 2014 from Friday to Saturday 3 May. This worldwide happening of women riders has evolved to an unparalleled momentum and the move to a weekend day will continue to foster the events growth and enable participation through all cultures. Just shy of a decade of action, International Female Ride Day© was introduced to occur on the first Friday in May. Among joint goals of profiling and highlighting women riders, selecting a week day maximised awareness of all women who enjoy motorcycling on a day-to-day basis. The mounting success of the event over the last seven years makes 2014 the right time to make the move to Saturday. “Freedoms are still not as equal as for those of us Westernised countries. 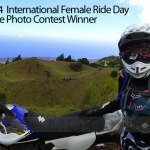 It’s important that the initiatives of which International Female Ride Day was brought about facilitates the participation of women riders regardless of their countries of origin,” states Vicki Gray, Founder of International Female Ride Day and MOTORESS®. “Not one country wants to be excluded from joining in and representing on this unifying global day for women riders; the timing is right to move the event to Saturday and a perfect characteristic to further its expansion. I’m so grateful for the support women riders the world over demonstrated year after year; participating in force on those special Friday’s”, Vicki adds. 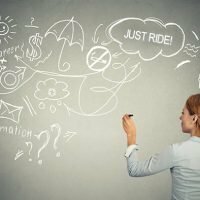 International Female Ride Day© makes one simple request of women – “Just Ride!” Get on your bikes, be out there and be visible. The day highlights the enjoyment and camaraderie women share through motorcycling and motorsport. 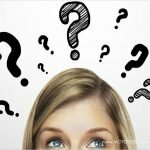 All motorcycle makes, models and brands – trikes, scooters – off-road or track take part.